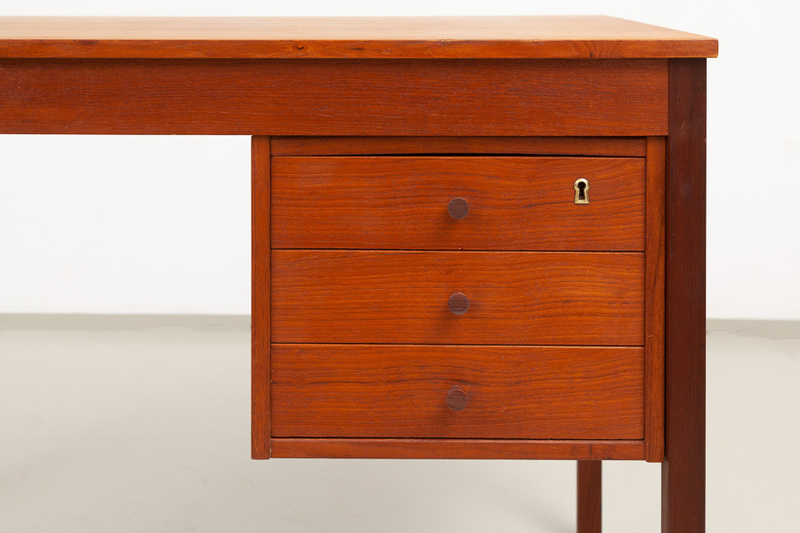 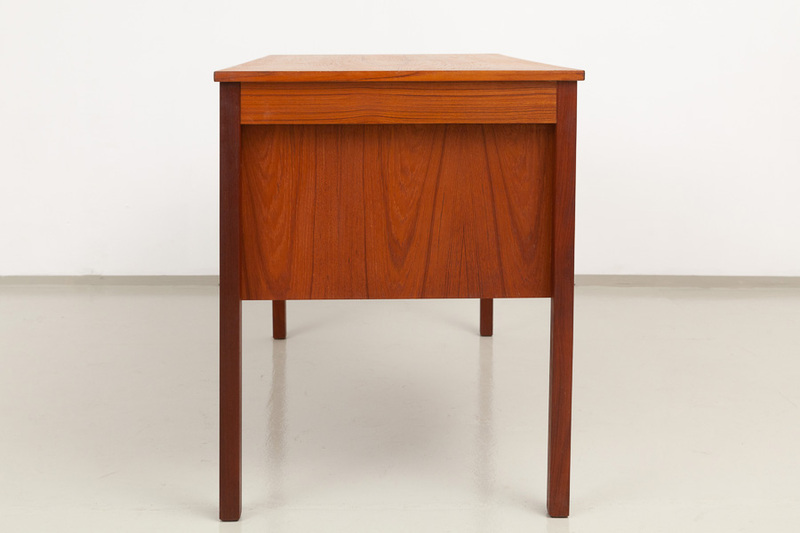 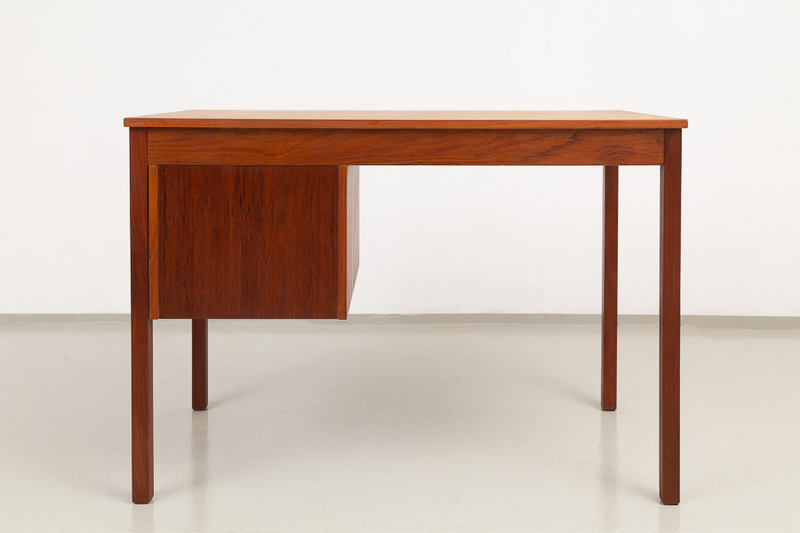 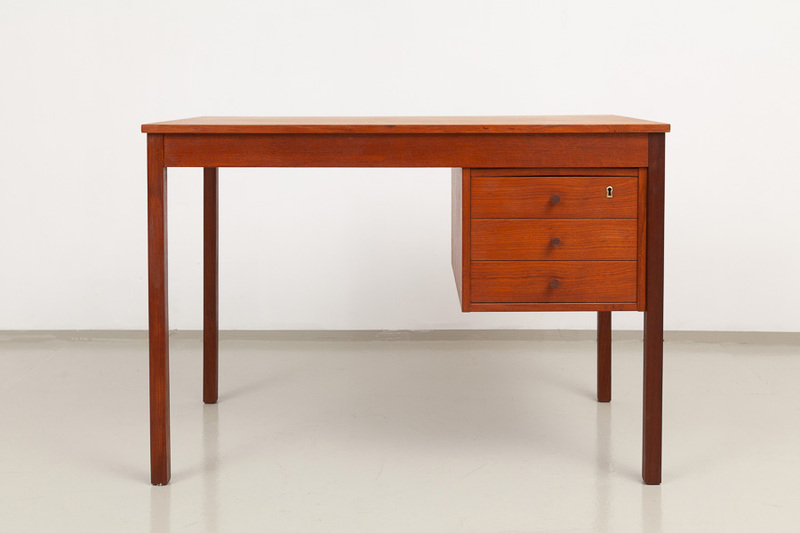 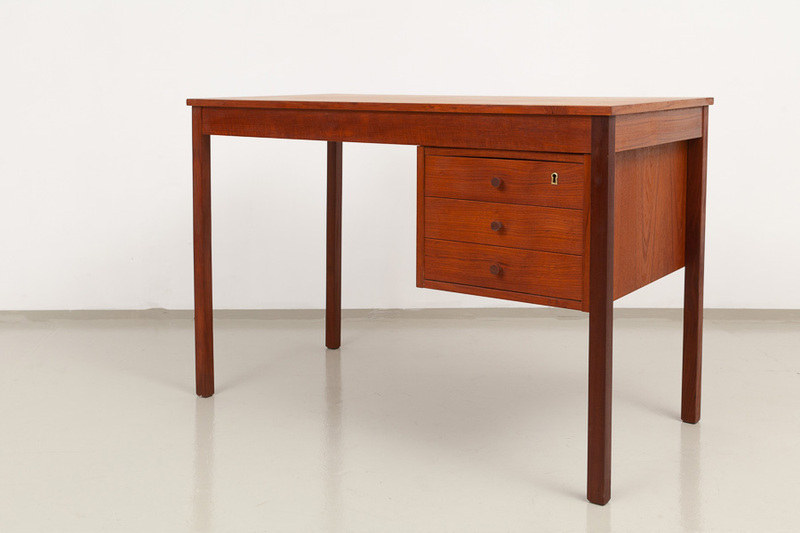 This furniture is on sale by Frank Groll / ickestore, Partner at Magasin. 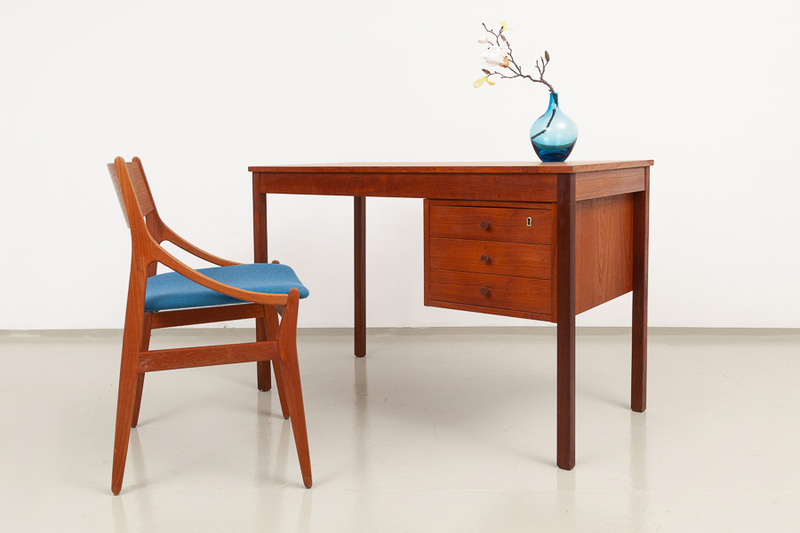 It is displayed for the moment at Magasin-showroom. 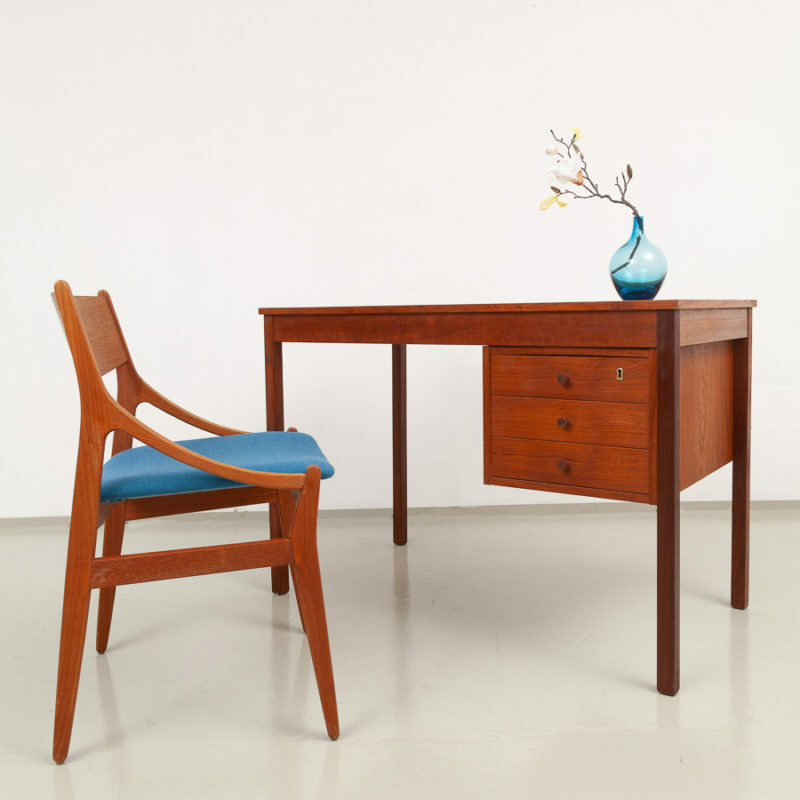 Please contact siglinde@magasin-berlin.de if you are interested in the pictured Vestervig Eriksen teak chair. 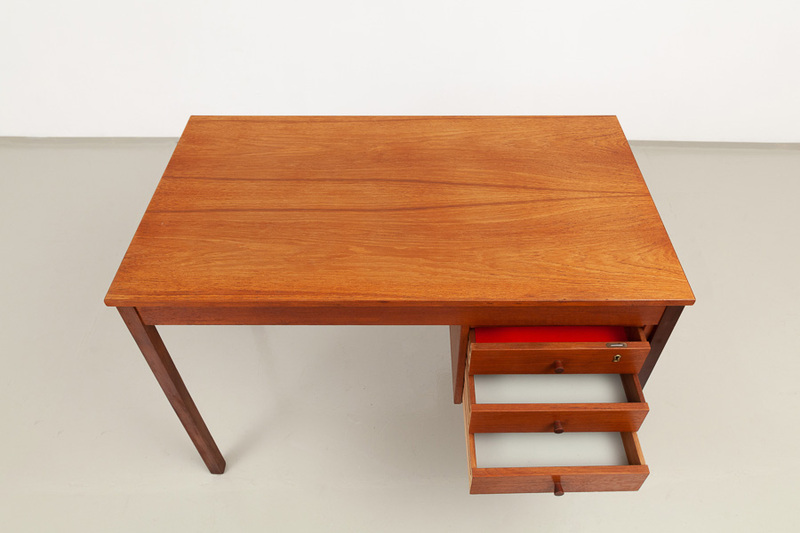 The desk has been cleaned, sanded and sealed afterwards. 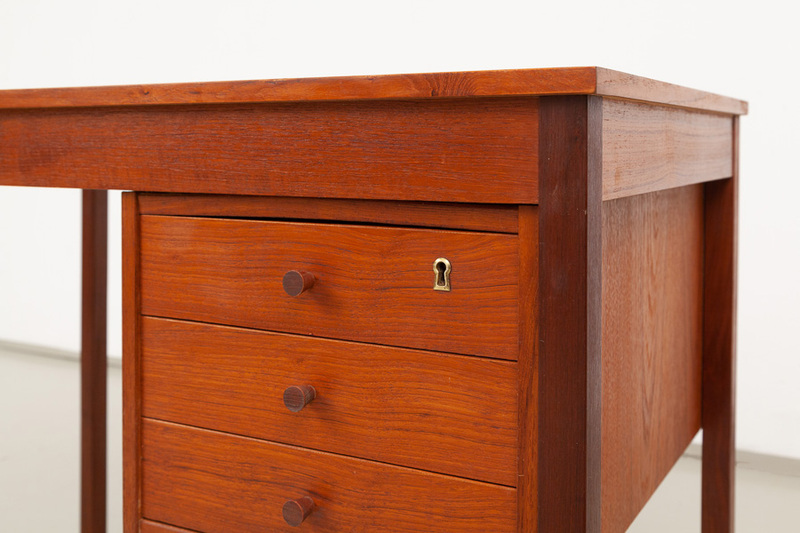 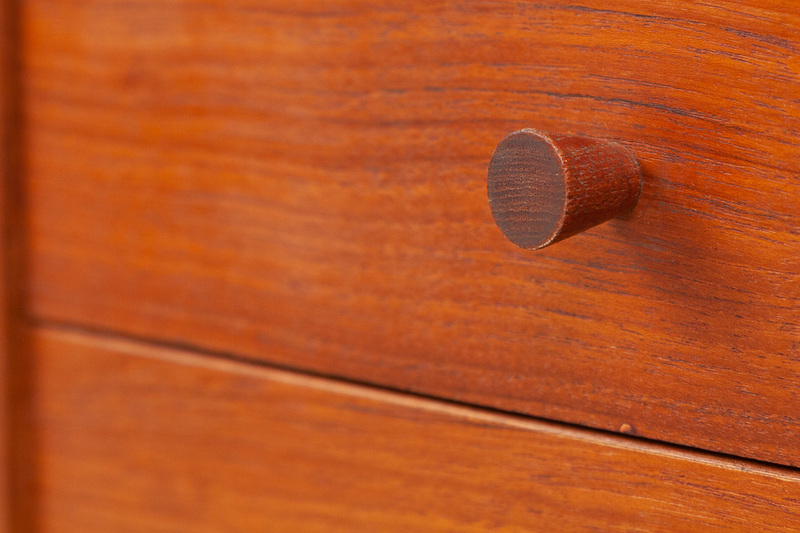 Unfortunately the key for the drawer got lost.